Bauer Media's Kiss London has overtaken Capital after a year snapping at the heels of its Global-owned rival. Kiss London was the only one of the four most popular stations in the capital to grow its audience in the final quarter of last year, according to the latest Rajar listening figures. Although the station only increased its weekly reach by 2.3% compared to Q3, the slight rise was enough to propel it to the number one spot as Capital’s audience fell by 14.1% in the same period. Capital had previously held pole position in London for four consecutive quarters, after winning back its lead from Kiss in Q4 2015. Kiss London’s average weekly reach of 1.86 million listeners in the three months to 18 December 2016 gave it a comfortable lead over Capital, which attracted 1.73 million listeners. The station’s success in Q4 was reflected in its breakfast show, which also overtook Capital’s offering. Kiss' breakfast show, Rickie, Melvin and Charlie in the Morning, attracted an average weekly audience of 983,000, up 15.2% on the previous quarter’s 853,000, although the figure was down by almost 10% on the same time last year. 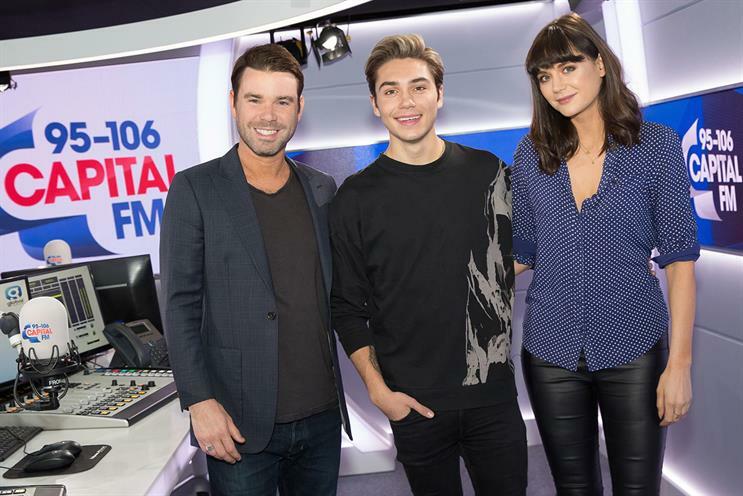 In contrast, Capital’s breakfast show with Dave Berry, George Shelley, and Lilah Parsons has haemorrhaged listeners, dropping 15.4% from 1.04 million each week in Q3 to 881,000 this quarter, and 18.4% year on year. Berry is leaving Capital after five years to join Absolute Radio, it was announced last week. Meanwhile, a dismal set of results plagued the remaining large London stations. Bauer’s Magic London attracted an average weekly audience of just more than 1.72 million, down 4.5% on the previous quarter and 10.3% year on year. The worst hit of the major commercial London stations was Global’s Heart, which dropped to 1.36 million listeners, a quarterly slide of 19.1% and a year-on-year decline of 24.5%. The disappointing year-on-year results were mirrored at both Capital – which saw a 16.7% fall off – and Kiss, which lost 7.7% of listeners compared to Q4 2015.